As always we have been building lots of exciting things in our womens, teenager and kids classes. Heaps of street libraries, adirondack chairs, stools, clocks, bee hives, seats, letterboxes…..the list goes on and on. Once you have completed a couple of set projects you can turn your hand with our guidance to projects you want to build. 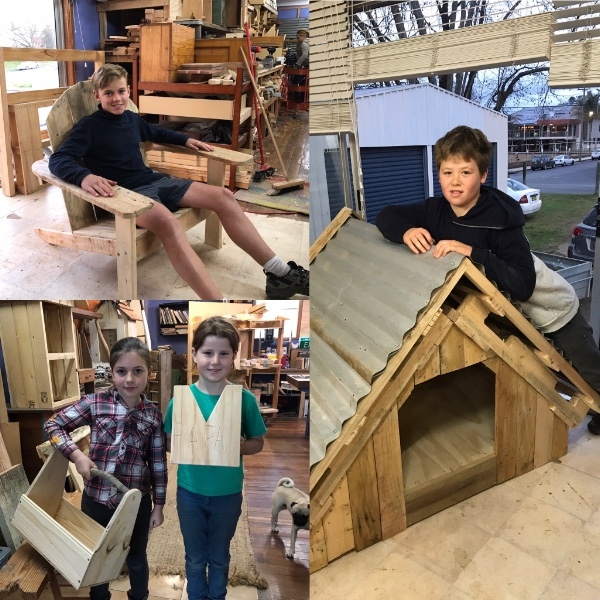 Some of you may know that I’ve been awarded a Churchill Fellowship to travel to the US to look at various schools, organisations and programs to find new and innovative ways to extend woodwork and carpentry skills to women and children. I leave on the 1st of September and return at the end of October. I will begin my research in Boston, visit schools and organisations around New England, attend a workshop at Hammerstone Carpentry School for Women and spend a weekend at a tiny house festival. Following that I fly to Baltimore where there is lots happening in the field of teaching practical skills. Im hoping to bring many ideas back to Two Sheds to branch out into in the coming year. Those of you who have been coming to weekly classes will have seen the wonderful Tess at work. 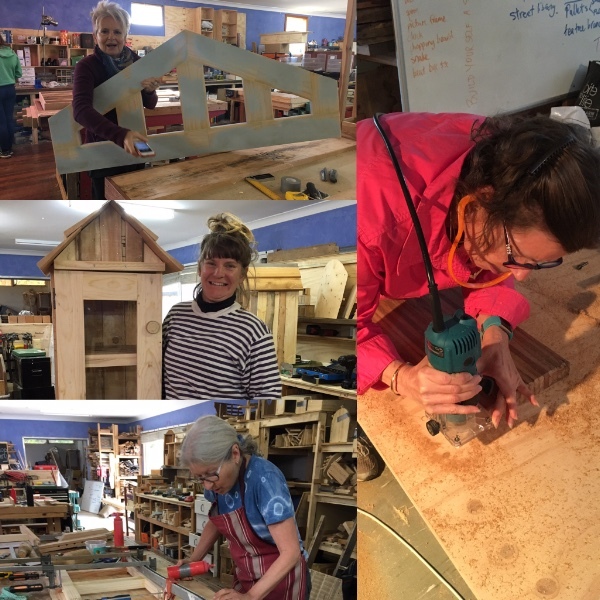 Tess is a qualified cabinet maker and a great teacher to boot adding extensive power tool skills such as routering and biscuit jointing to our mix and constantly coming up with new project ideas for women and kids. Tess will be holding the Two Sheds fort while I’m away with help from a few other Women Tradie friends. I couldn’t do it without them! 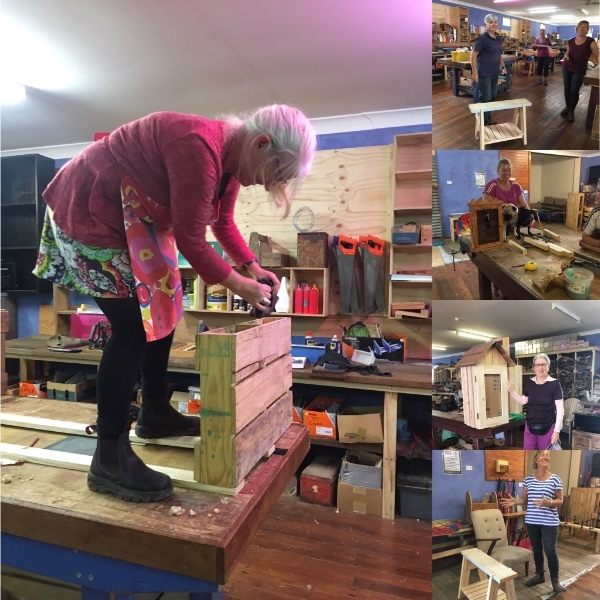 The Womens Classes and Weekend workshops have seen lots of new skills learnt and projects made. Some women have been coming for more than a year (and even 2 for some!) and so are really getting to be very good at woodworking. It is really wonderful to be around. 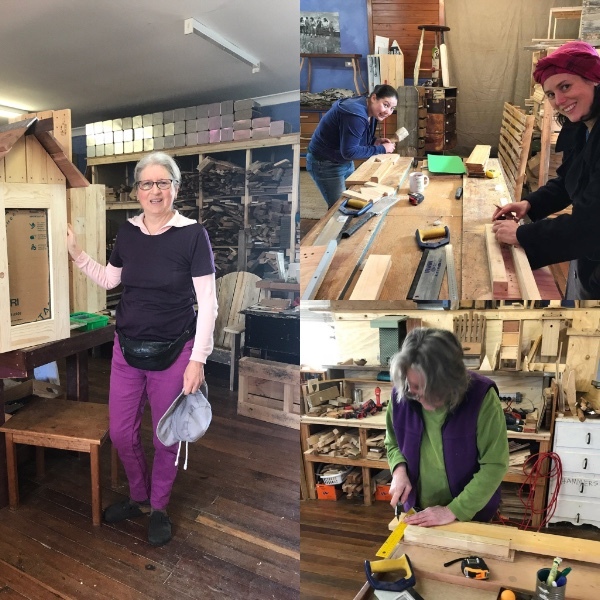 And as always new women are discovering the joys of woodwork and finding our classes and workshops at Two Sheds a great introduction. 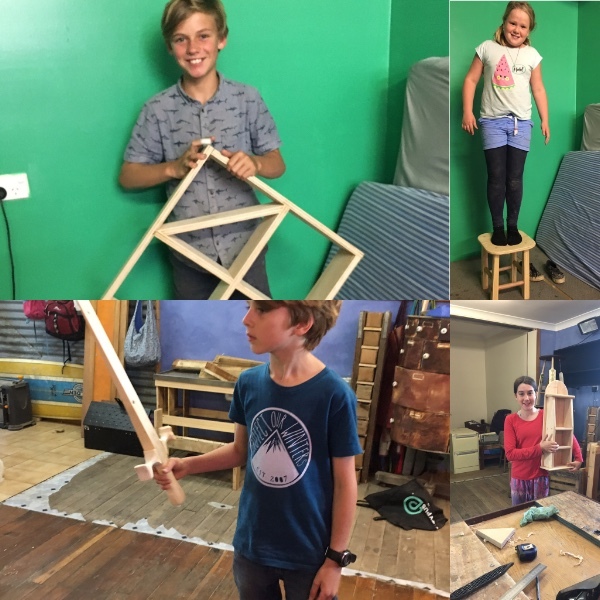 The kids woodwork classes have been getting bigger and bigger and we now have three after school classes, a homeschool class and a teenage homeschool class running each week. These classes are exciting – it is wonderful to watch their skills develop. 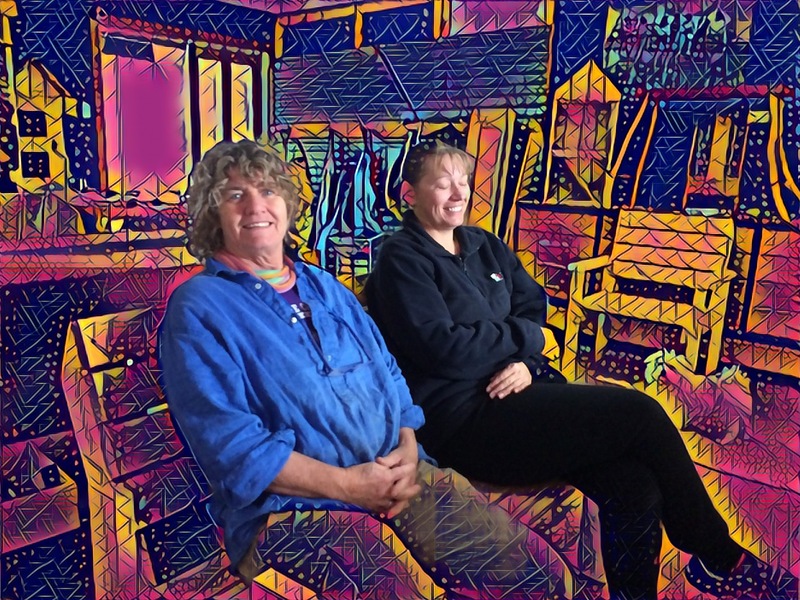 For a whole lot of girls and boys being a part of Two Sheds is changing our community by inspiring and shifting beliefs about what jobs and skills women and girls can have. Monday evenings 6 – 9pm, Wednesday mornings 10am – 1pm and Friday mornings 10am – 1pm. 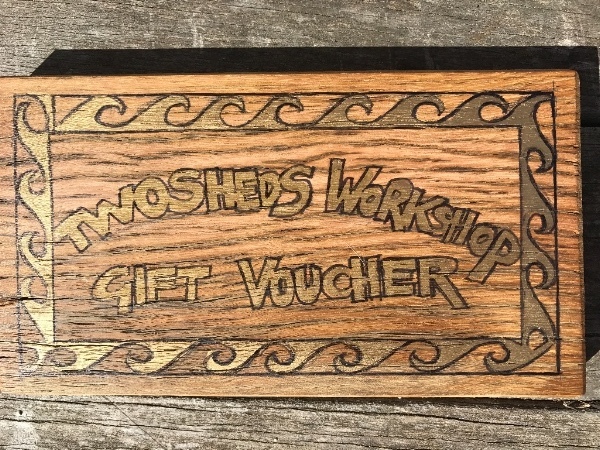 Our post card size vouchers are handmade on beautiful timber with your sentiments on the back – its a gift in itself!